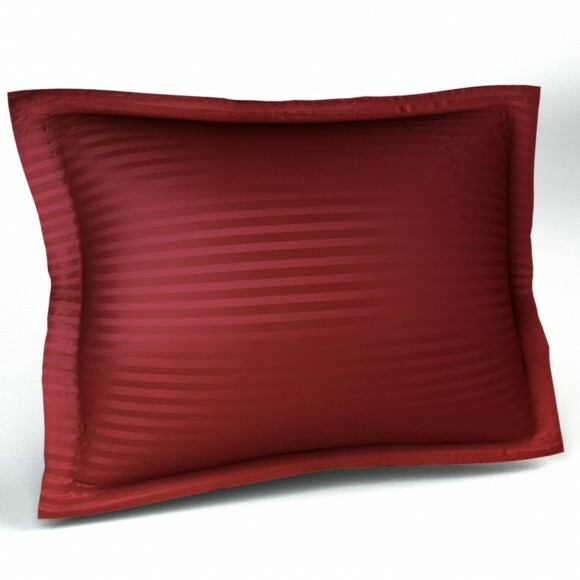 When it comes to enjoying a pillow, there are a few things you have to keep in mind. The first is that it has to be attractive, and this striped pillow sham offers the great looks you need. 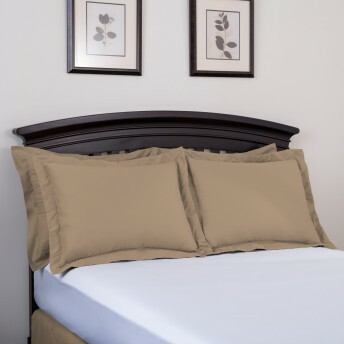 The next is that it must be comfortable, and 300 thread count sateen fabric ensures that you'll always enjoy lying upon this sham. The last thing to consider is durability, and when it comes to strength and longevity, this sham has the competition flatlining. Add in your choice of colors from a wide variety, including hot pink and forest green, along with a price which will impress you, and then add the cherry on top of every size you need being in stock, and you know that this must be the sham for you. 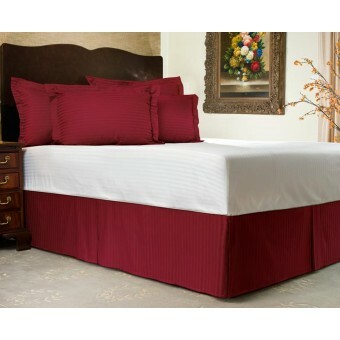 Pick up a set for your own bed and you'll spend many years noticing how happy you are that you bought them. Order a FREE fabric swatch. 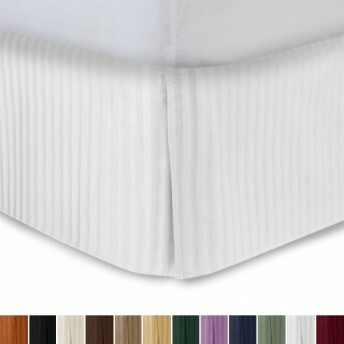 Fabric swatches allow you to see actual color and textures before you place an order. You may request up to 3 different swatches. 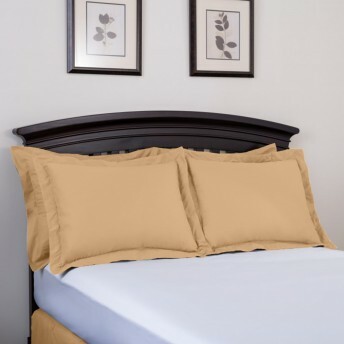 I thought the shams were exactly the color on line but did not work with our bed cover set. We returned them with NO issue; in fact my dear husband accidentally sent one of ours in the bag and the company kindly returned it back to us!! I appreciate the good customer service!! Will use you again when the opportunity comes up!! 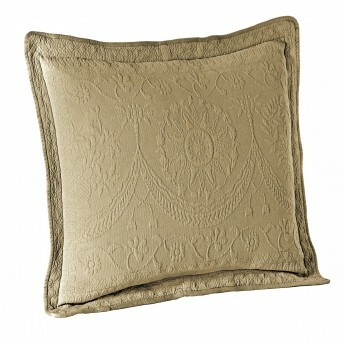 The shams were very reflective of the color shown online and matched my existing coverlet perfectly. Excellent product for the price point. I am very happy with the quality of the fabric, construction and the color was perfect! Exactly what I was looking for, they are perfect. 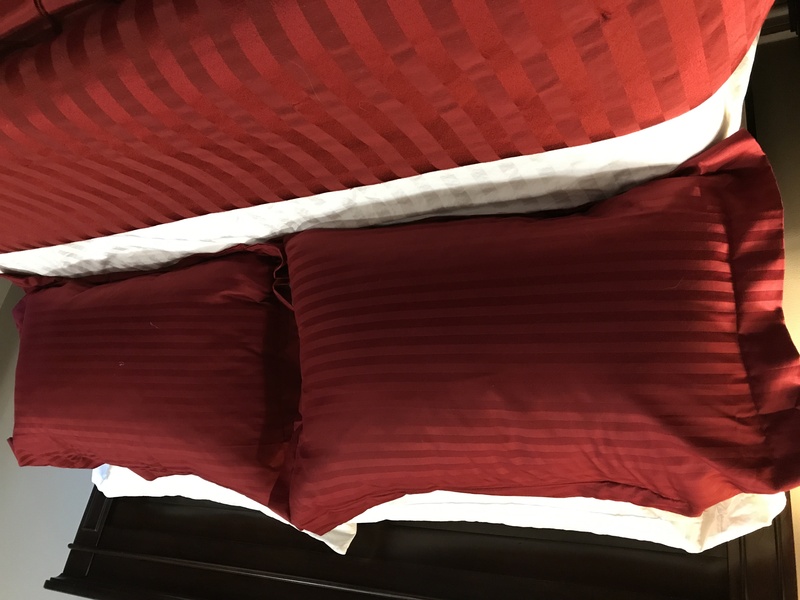 Ordered pillow shams to go with bedding I already had and they matched perfectly and made my set complete, giving it a finished look. Great value for the product.